He believed that resource cooperatives were an ideal way to reorient Métis relationships to labour and build Métis class consciousness, economic and political self-determination, and thus solidarity with the white working class against colonial capitalism (“that vicious system”). Jim Brady, 1944. Glenbow Archives. Unfortunately, all of Brady’s cooperatives ultimately failed. There are several reasons for this, but the main one was that the policies of both the pre-World War II Social Credit government of Alberta and the post-WWII Cooperative Commonwealth Federation (CCF) government of Saskatchewan actively worked against the success of Indigenous cooperatives and completely rejected cooperatives as an Indigenous self-determination project. In both cases this was the combined product of strategic neglect, individual and structural racism, and a privileging of the governments’ ‘big picture’ goals over the lives of Indigenous people in the northern prairies. Brady had been involved in organizing cooperatives in central and northern Alberta throughout the 1930s, but with the creation of the Métis Settlements in 1938, the government was persuaded to support cooperative development on these new Métis land bases. While Brady saw co-ops as a way to build Métis self-determination, the Social Credit government had a very different viewpoint. Based on racist stereotypes that Métis were lazy, unintelligent, and unsuited to modern forms of industrial labour, the government saw co-ops as a means to replace welfare and integrate Métis into the mainstream economy, where they would learn to be productive, tax-paying citizens. The Alberta government considered the Settlements a cheap welfare replacement, with the operative word being cheap. The government provided hardly any capital for the resources or infrastructure needed to get cooperative ventures started. Because Métis didn’t own Settlement land, they had no collateral for loans to cover start-up costs, a very common practice for new farmers. An example of how stingy and racist the government was: they made Métis earn their welfare payments by building the roads into their own communities! The government also refused to install a central cooperative board for the Settlements, making administration incredibly difficult. Not that they let Métis manage their own co-ops – those positions went to white people, some of whom worked against cooperative interests and prevented Métis members from having control or autonomy over the products of their labour. Despite all this, some of the Settlement fishing co-ops achieved a measure of success, and for a few years replaced government welfare payments, but because of the policies and actions of the government and its agents, they weren’t able to thrive. So it’s really no wonder that many members started abandoning the co-ops in favour of private buyers, who were familiar with the Métis and who gave them better prices for their catch. While the government claimed to want to bring Métis out of poverty, the way they structured and administrated the co-ops maintained Métis socio-political and economic marginalization. During his time as supervisor at the Wolf Lake Settlement, Brady tried to convince people of the value of sticking with co-ops, and to make the co-ops themselves workable. But he eventually found the situation untenable. He came to see the Settlements and their co-ops as a resounding failure. Brady didn’t give up on cooperatives entirely, however. 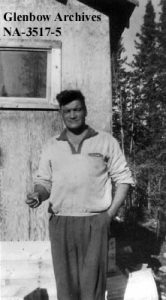 In 1947, at the urging of his friend and fellow Métis communist, Malcolm Norris, Brady took a position with the CCF’s Department of Natural Resources (DNR) developing co-ops in northern Saskatchewan. He would call northern Saskatchewan home for the rest of his life. In contrast to the Social Credit, the CCF was excited about co-ops, and more than willing to provide the resources necessary to build them. In actuality, what the CCF was really excited about was opening up northern Saskatchewan to resource extraction and assimilating northern Indigenous peoples into the general population of Saskatchewan. 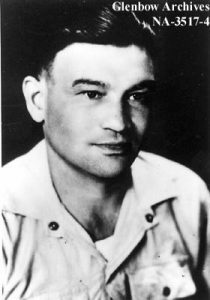 The CCF was convinced of the superiority of socialist values and was ready to bring the benefits of socialism to Indigenous people, whether they wanted those benefits or not. In practice, the CCF intensified the colonial disruption of Indigenous lifeways in the north, and just kept experimenting with policy that did nothing to alleviate the suffering their actions contributed to. In many communities, race and class divides actually widened during the CCF years. For example, DNR field officers were not required to actually educate people on cooperative principles, meaning that Métis and First Nations were at a disadvantage when trying to navigate the new cooperative systems. Rather than being provided the education needed to run their own co-op affairs, they were forced (much like in Alberta) to rely on white mangers and co-op store employees, who often had little investment in either the success of the co-ops or of northern peoples. Brady went way above and beyond in that regard, but he couldn’t be everywhere. He was up against an assimilatory behemoth. The CCF, like Alberta’s Social Credit government, never really believed that Métis or First Nations were capable of handling their own affairs. All but the most basic positions in the co-ops were filled with white people, often from the south, often patronizing or hostile racists. This must have been infuriating for Brady and the Métis and First Nations people who made up the cooperative memberships. His experience in Alberta had taught him the importance of Métis being in positions of power to manage their own affairs, and a lot of Métis saw the economic changes that the CCF was instituting as opportunities to improve their lives. But when it came to cooperative membership, the CCF gave them almost no opportunity for advancement, and government officials didn’t think Métis could hack it as anything other than an exploited manual labour force. And while Tommy Douglas was supposedly all about egalitarianism, the profits created by all this new industry weren’t distributed equally. CCF reports highlighted the disparities between the new resource-generated wealth being enjoyed in the south and the meagre distribution of that same capital in the north – reports that were subsequently repressed. [iv] The mostly-white south benefited from the land and labour of the mostly-Indigenous north. This occurred in sometimes blatantly discriminatory ways. Profits in fishing co-ops for example, were used to increase welfare payments in northern communities rather than to raise the fish board’s buying prices and lessen co-op members’ financial precarity. It’s also important know note that joining co-ops required members to become more sedentary and to funnel most of their labour into the co-ops. Previously, Métis and First Nations people had access to a wider variety of labour and the flexibility to assess and meet their needs by doing different things. Now their income was tied more closely to cooperative profits, which were being managed by a government that didn’t see them as a priority. By the early 1950s, Brady had become pretty disillusioned with the CCF. He never really trusted colonial governments, but it’s likely that he felt he could do more with a nominally socialist party in power than he had been able to with the capitalist Social Credit government in Alberta. The last straw came in 1963, when he briefly returned to the CCF fray with a few others to advocate for a “Single Agency” in the north. The DNR was already acting as a sort of single agency – it was involved in many more aspects of northern life and policy than its name would suggest. But it was still peopled and controlled by white people from the south. Brady wanted a semi-independent, northern agency. The CCF rejected the Single Agency proposal because the government felt that northerners having a voice would interfere with their assimilation into white society. Meanwhile, material conditions for northern Indigenous peoples continued to worsen. Brady himself went to a CCF convention to bring the extent of Indigenous suffering in the north to Tommy Douglas’ attention. Douglas publicly shut him down, told him that the tax and voter base wasn’t big enough for the party to seriously consider changing their operations. That was in 1963. In the last years of his life, Brady gave up on large scale organizing projects. He turned instead to local harm reduction and education work in and around La Ronge, but sadly seems to have died bitter and disillusioned. Jim Brady, 1959. Glenbow Archives. While Brady did not accomplish his political goals or live to see his hoped-for unification of the Métis with the Canadian working class, the development of a politically mobilized Métis working class, or a solidarity-based socialist revolution in Canada, his life and work continue to have positive reverberations throughout the northern prairie provinces. Brady spent his entire life fighting for and working with the Métis. He helped bring back a sense of pride and ability to a people who had, in some ways, been politically dormant for 50 years. Métis continue to fight for our rights, sovereignty, and self-determination, using the political institutions and land bases that Brady helped to build. His legacy lives on, and it is up to contemporary Métis organizers to build on it, and to make space for those who come after us to do the same. Molly Swain (@otipemsiw) is an otipêmsiw-iskwêw (Métis woman) from otôskwahnik, Treaty 7 territory. She is currently a PhD student in the Faculty of Native Studies at the University of Alberta, studying Métis political relationality and solidarity, and living in amiskwaciwâskahikan, Treaty 6. She is also the co-host of otipêyimisiw-iskwêwak kihci-kîsikohk Métis in Space, an Indigenous feminist science fiction podcast. [i] To learn more about Jim Brady, you can check out Murray Dobbin’s biography, The One-And-A-Half-Men: The Story of Jim Brady and Malcolm Norris, Metis Patriots of the 20th Century and my Master’s thesis, “Victim of Deceit and Self-Deceit: The Role of the State in Undermining Jim Brady’s Radical Métis Socialist Projects,” which will be available November 15, 2018 through the University of Alberta Libraries website (library.ualberta.ca). [ii] To learn more about Indigenous cooperatives and the CCF, check out CCF Colonialism in Northern Saskatchewan: Battling Parish Priests, Bootleggers, and Fur Sharks by David Quiring and Walking in Indian Moccasins: The Native Policies of Tommy Douglas and the CCF by Laurie Barron. [iii] James Brady, interview by Art Davis, 1960, transcript, tape number IH-425D, Indian History Film Project, University of Regina, https://ourspace.uregina.ca/handle/10294/556. thanks for this. Absolutely fascinating in many ways.